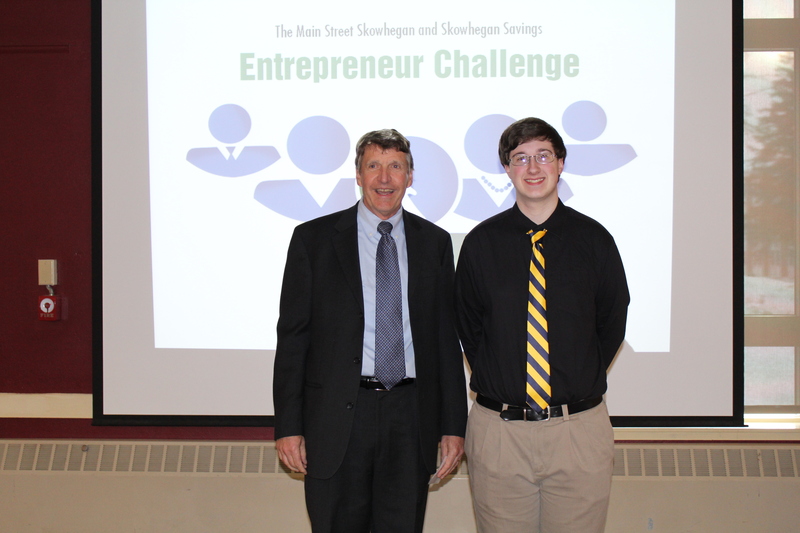 On Wednesday, March 21, Skowhegan Savings sponsored Junior Entrepreneurship Challenge winner Matthew Gallant presented his business pitch to the Corporators of Skowhegan Savings at their 148th Annual Meeting of the Corporators. Prior to this presentation, three groups from three schools (Skowhegan, Madison, and Mt. Blue) competed against each other in the Junior Entrepreneurship Challenge in the hopes of winning $1000 in startup cash for their business. They each presented their business plan, financial projects, and business presentation and/or video to a panel of judges who then chose who won. 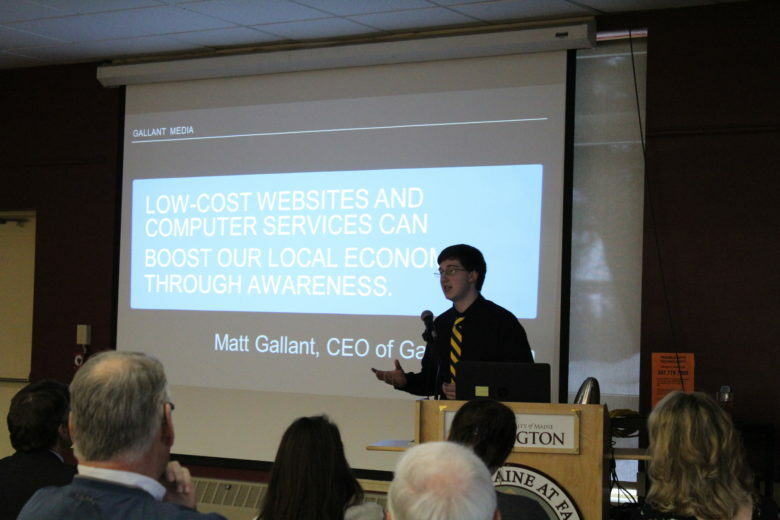 There were three prizes: $500 (L Enright Photography – Lauren Enright, Skowhegan), $750 (Smart Planner – Emily Edgerly, Shelby Belanger, and Katie Worthen, Madison), and $1000 (Gallant Media – Matthew Gallant, Mt. Blue). Thanks to the generosity of Skowhegan Savings, three new local businesses will hopefully be open for business soon. The students said that it was a very important opportunity to them. Not only does it help them to start their business by providing startup funds, it also exposes them to what it is really like to present to potential investors. They are taught how to write a business plan and how to estimate financial projections. “This experience is invaluable. This has taught me so much about how to start a business, and this is just the start of my journey.” said 1st place winner Matthew Gallant.